* Tap * Ballet * Jazz * Lyrical Classes. 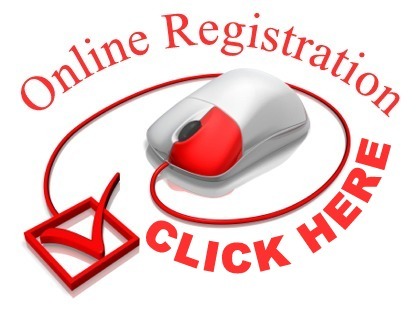 Register Online - At Your Convenience! All Fees Paid Online - Click Here! 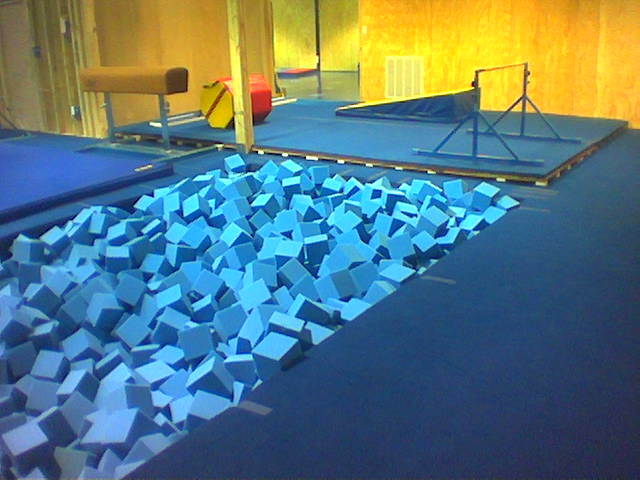 in ground Elite channel pit, 60' inground TumbleTrak, Loose foam pit. COME JOIN THE FUN ... AND LEARN! 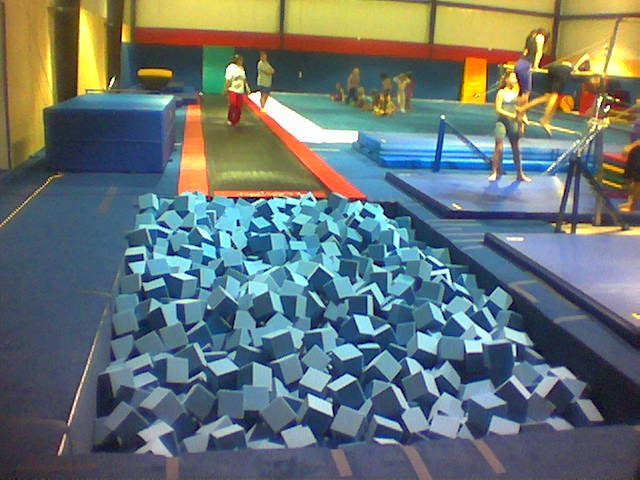 Member Professional Dance Association, Professional member of USA Gymnastics , Club Member of USA Gymnastics, , American Association of Cheerleading Coaches & Advisors, Instructors are safety certified. Listed in Dunn & Bradstreet's Who's Who National Register of Executives & Professionals and Who's Who in entertanment. Free Cheer classes to try out . . Wo do take cheerleaders year round for regular and competitive classes. Senior practice will be held 2 days/week - total 3 hours for only $107.00 per month.Mini team 2 hours a week for $82.00 a month. No registration fee. Competition fees will be determined and collected by the coach since all employees are contract workers. Probaly 3 Regional and 1 National competition You may participate in fundraisers making enough to pay in full or pay them yourself instead.The fees must be given to the cheer competition company by the coach so please be sure to pay on time. Remember competition fees are non-refundable as we do not keep the fees- just distribute them to the Cheer companies. If you do not make enough on the fundraisers to pay the Uniform and competition fees, you will need to pay the balance for each by check before the deadline. Lots of fundraisers to help defray the costs. FREE try-outs for those wishing to become a competitive level cheerleader. Information about our CSD AllStar Cheerleaders will be passed out to parents at the beginning of try-outs.Cheer teams and their parents must sign and agree to a 3 page policy with a one year contact to the teams when joining. Come & try out for our CSD AllStar Cheerleaders. Gymnastics not required in & Mini & Seniors . YOU will become a member of our National 1st place Champion CSD AllStar Cheerleaders and will compete at Regional & National Competitions with them . FRANCINE DelBOSQUEZ: Folklorico Dance, Tap, ballet, lyrical, Jazz & tumbling. Sixteen years teaching competitive team and regular dance classes with Cinderella . 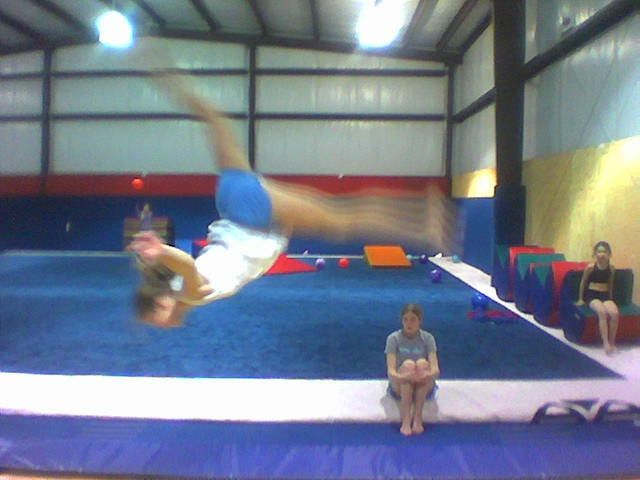 Danna Perkins : Tumbling, Beam, Bar, Vault, Floor and the Jr Olympics Team coach.Mom & Me Classes. .. She started with Cinderella at the age of 3 and was on the competition Dance, Gym and Cheer teams and high school cheer team through her teen years. She was also on our Jr. Olympics team. Danna has won numerous awards at Showstoppers Regional and National competitions & at regional and National cheer competitions . This is her 4th year teaching at Cinderella. Marci Moreno : Tumbling, Beam, Bar, Vault, Floor and assisted the Jr Olympics coach.. She started with Cinderella at the age of 3 and was on the competition Dance, Gym and Cheer teams and high school cheer team through her teen years. She was also on our Jr. Olympics team. Marci has won numerous awards at Showstoppers Regional and National competitions & at regional and National cheer competitions and at the Junior Olympics.. This is her 3th year teaching at Cinderella. COURTNEY MAUBERGER: Has years of experience in classes at Cinderella. Courtney was on our Competitive Cheer team and our Jr Olympics team. Courtney competed in Allstar cheer competitions and USA Gymnastics. She was a high school cheerleader.She won numerous awards at at regional and National cheer competitions and at the Jr Olympics. This is her 4th year teaching competitive cheer. Kalegrace Lattiere: Has years of experience in classes at Cinderella. 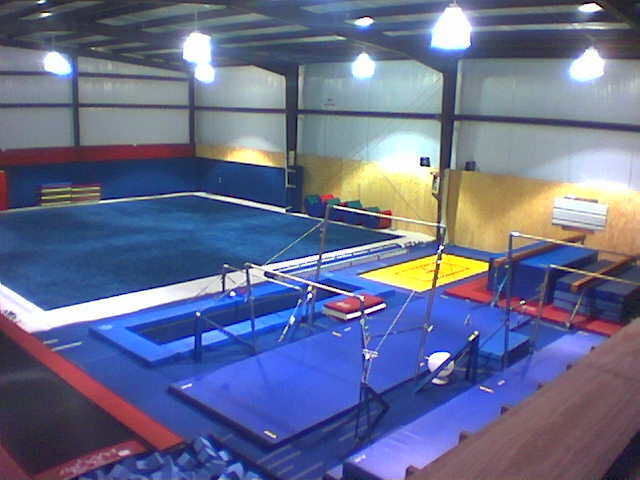 She teaches tumbling, Beam Bar and Vault. 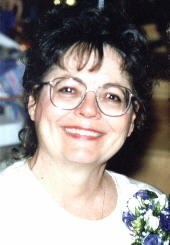 JENNIFER COORY: Has been teaching tumbling and competitive cheer for years with Cinderella. She also assists in Beam, Bar and Vault . 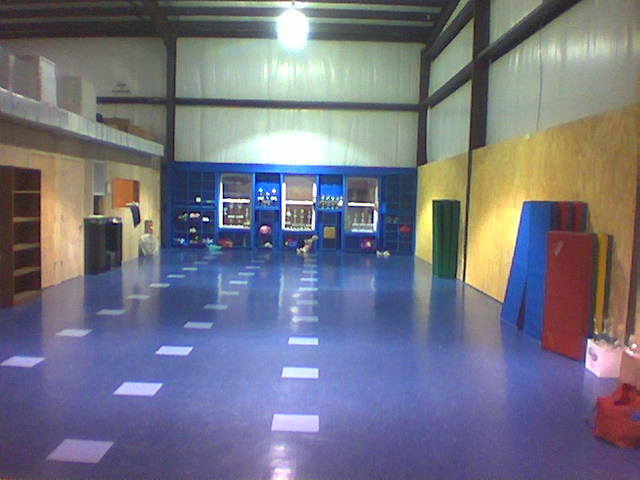 Home of the National Award Winning "Dance Dynamic" Competition Dance & Gymnastics Team. Home of the National Award Winning "CSD ALL STARS" Cheerleading Team.